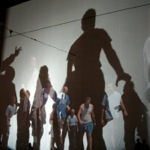 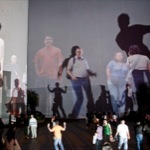 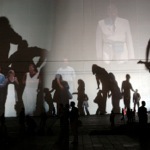 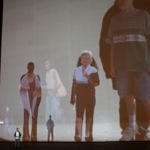 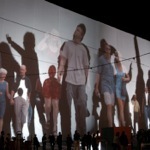 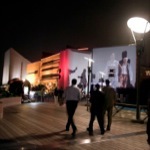 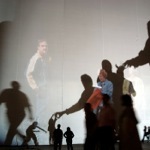 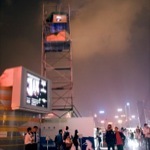 Rafael Lozano-Hemmer - Project "Body Movies"
"Body Movies" transforms public space with interactive projections measuring between 400 and 1,800 square metres. 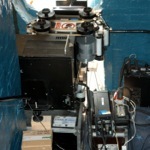 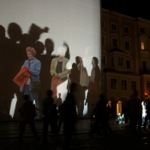 Thousands of photographic portraits, previously taken on the streets of the host city, are shown using robotically controlled projectors. 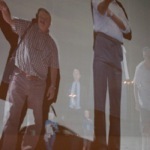 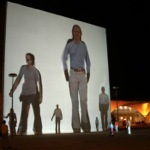 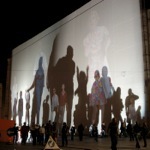 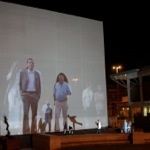 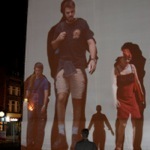 However the portraits only appear inside the projected shadows of the passers-by, whose silhouettes can measure between two and twenty-five metres depending on how close or far away they are from the powerful light sources positioned on the ground. 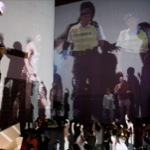 A video surveillance tracking system triggers new portraits when all the existing ones have been revealed, inviting the public to occupy new narratives of representation. 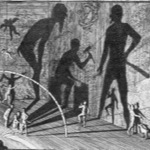 Samuel van Hoogstraten's engraving "The Shadow Dance" (Rotterdam, 1675) is the main source of inspiration for this work. 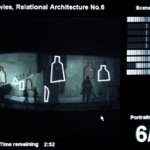 Body Movies attempts to misuse technologies of the spectacular so they can evoke a sense of intimacy and complicity instead of provoking distance, euphoria, catharsis, obedience or awe. 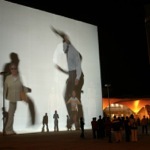 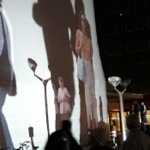 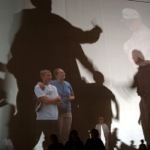 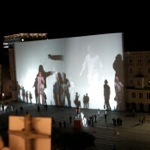 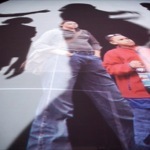 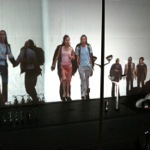 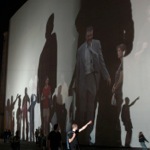 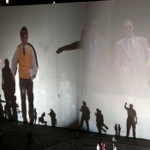 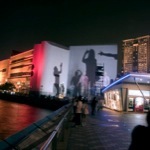 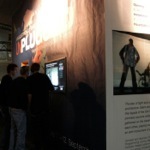 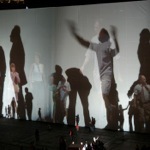 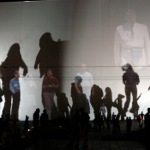 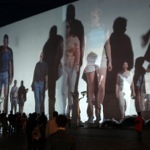 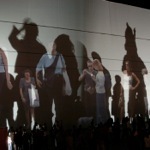 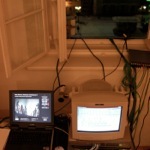 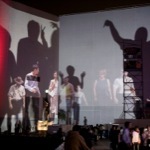 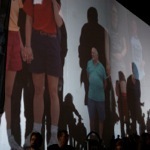 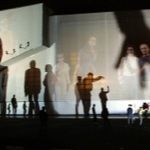 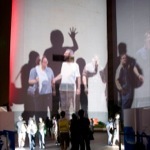 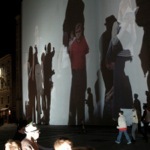 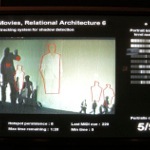 Keywords: database, projection, outdoor, interactive, shadows, sound, tracker. 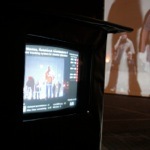 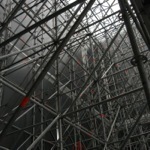 Non-site, Centre for Contemporary Art, Ujazdowski Castle, Warsaw, Poland, 2011 (video). 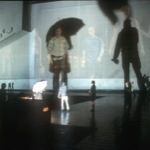 Body Movies, Fête du 400e anniversaire de Québec, Parc de la Cétière, Québec, Québec, Canada, 2008. 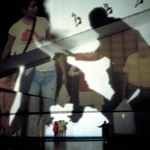 Body Movies, Te Papa Museum, Wellington, New Zealand, 2008. 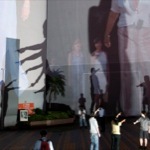 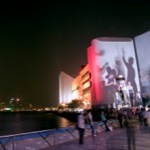 Body Movies, Museum of Art, HK Arts Development Council, Hong Kong, China, 2006. 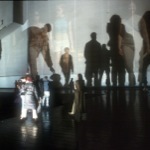 Body Movies, Duisburg Akzente, Duisburg, Germany, 2003. 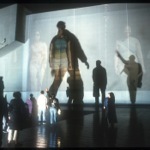 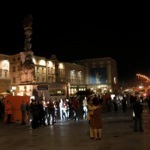 Body Movies, Liverpool Biennial, Williamson Square, Liverpool, United Kingdom, 2002. 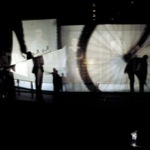 Sapphire '02, Atlantico Pavillion, Lisbon, Portugal, 2002. 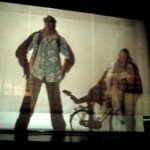 Ars Electronica Festival, OK Centrum, Linz, Austria, 2002. 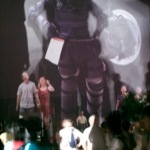 Body Movies, Cultural Capital of Europe Festival, V2 Grounding, Rotterdam, Netherlands, 2001.